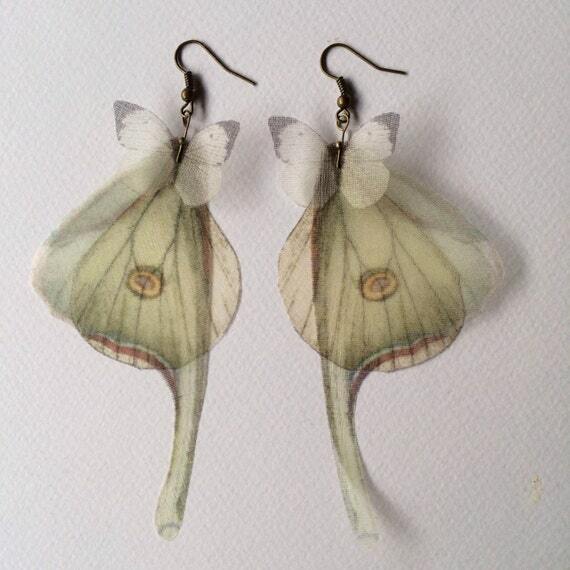 There are 6 butterflies (and wings) on these earrings and they measure 9 x 7 cm. 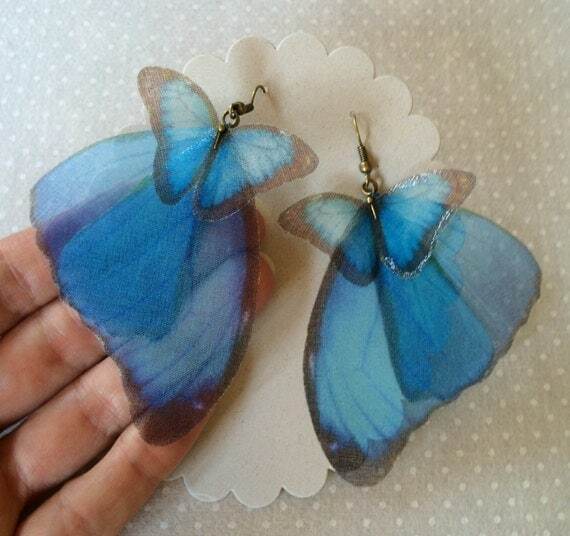 There are 6 butterflies and wings on these earrings and they measure about 9 x 5 cm. 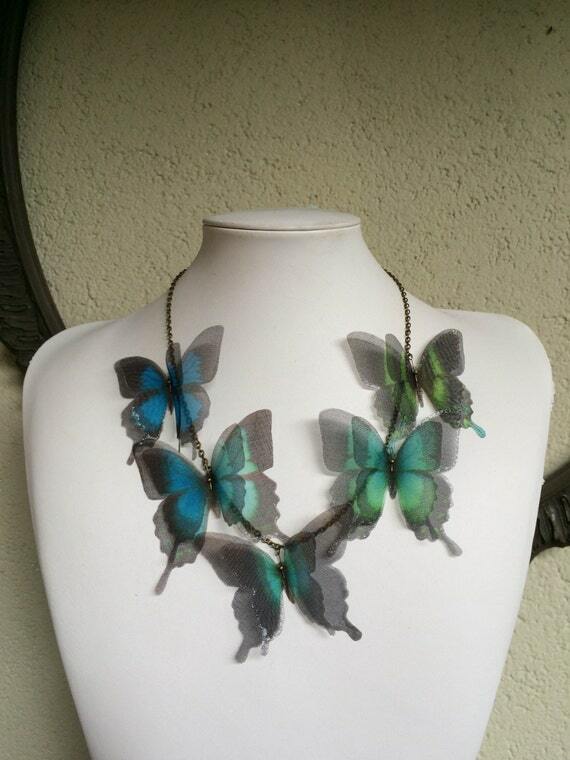 Completely hand-made necklace, with silk organza swallowtail butterflies. I chose butterfly images one by one, from real pictures and vintage illustrations. 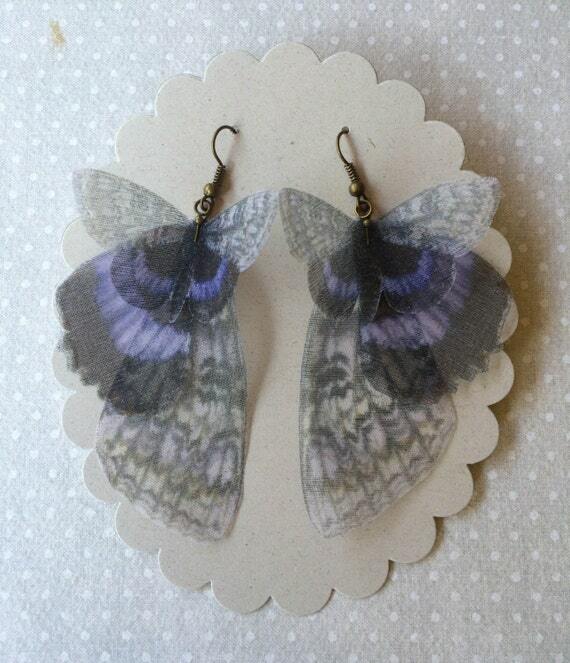 Then I printed them on high quality silk organza, cut and fixed on antique bronze chain. There are 10 big butterflies on this necklace, and each one measure from 5.5 to 6.5 cm. Antique bronze chain is long 50 cm. Lobster clasp. You’ll receive the necklace shown in pictures. Exactly this one. One of a kind, as you! 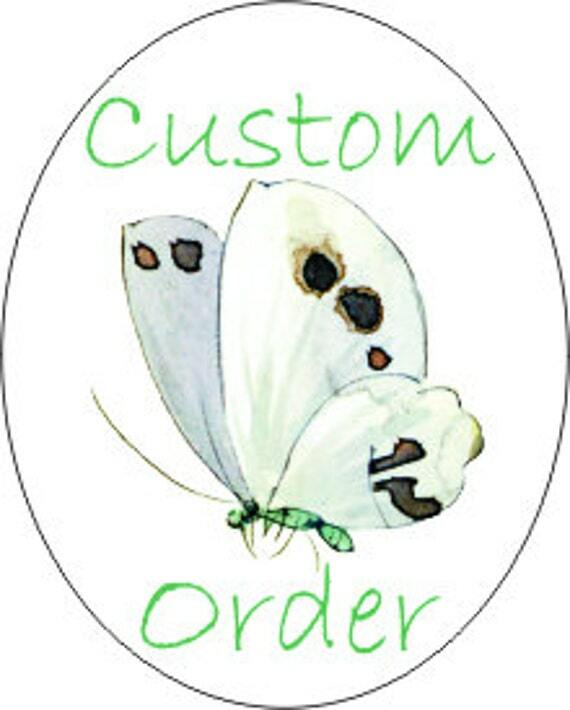 Custom handmade silk organza butterflies. I chose butterfly images one by one, from real pictures and vintage illustrations. Then I print them on high quality silk organza and hand-cut. Please pay attention when you use the butterflies. They are very delicate. Don’t stretch them. Butterflies can’t be washed but they are waterproof. 12 butterflies in different sizes, from 45 to 65 cm. each one. In this case, due the value of the necklace, I suggest you to buy registered tracked airmail.